Are you looking to become safe and self sufficient in the mountains? 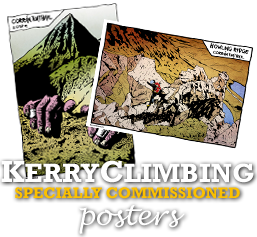 Gain confidence in your surroundings with the expertise of a KerryClimbing Instructor. Our 1 and 2 day mountain proficiency and navigation courses aim to give you the map and compass skills to enable you to navigate in all weathers and is suitable for all levels, from beginners upwards. They are aimed at individuals, clubs and youth groups but are also a great course for family groups. 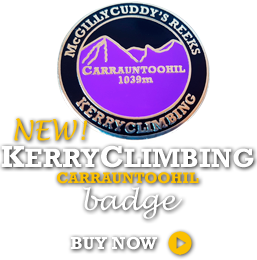 The ability to navigate accurately and safely is a vital skill for all those venturing into the Irish hills and mountains. In the Irish mountains in particular the weather and visibility can change very rapidly, making it especially important for mountain users to be able to navigate effectively even in limited visibility. Our range of summer walking and navigation courses form an excellent introduction to the hills and concentrate on the fundamentals. Like all of our courses they are not only designed to improve your skills and your awareness of the situation and environment around you but they will also improve your confidence enabling you to plan and complete your own days out with the knowledge of your capabilities and the factors to consider. We also find many people have spent years in the hills sticking to paths or behind friends with greater navigation skills, we can help to improve your navigational skills to enable you to step of the path or out of the shadows and choose your own route. 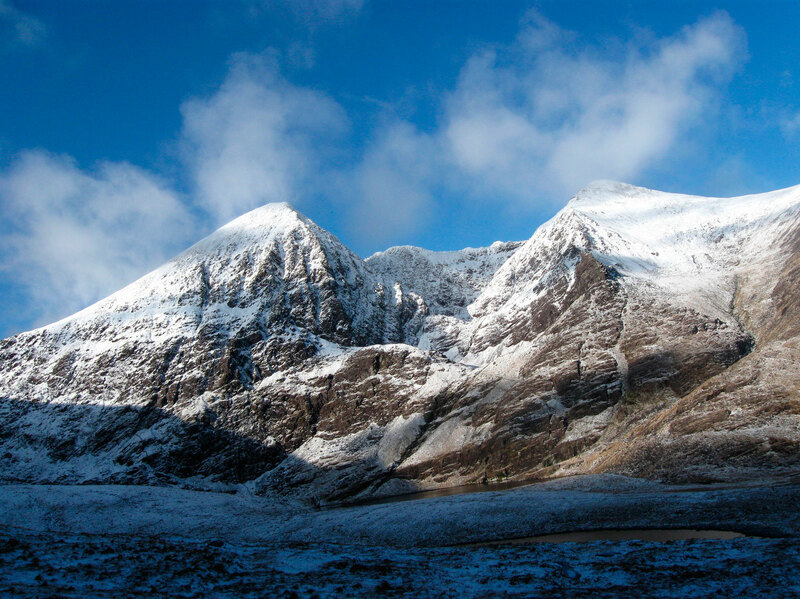 Our 1 day course is based in the MacGillycuddy’s Reeks mountains – and starts off with a short introduction, followed by a day out on the lower slopes learning about contours, pacing and timing distances, and getting to grips with really understanding what the map is showing us and how landscape features are represented. 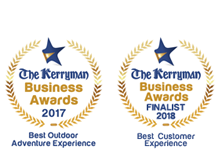 You will have 2 mighty days in the mountains of Kerry as we show you some of our favourite places well off the beaten track! 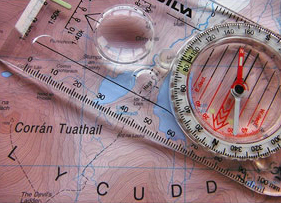 Maps – It is essential for everyone on our navigation courses to have a map covering the MacGillycuddy’s Reeks. There are a range of scales and maps available. OSi Discovery series sheet #78 – 1:50,000. This sheet is also available as a weatherproof version. Discovery maps are produced at a scale of 1:50,000 (or 2cm on paper equals 1 kilometre on the ground). This is a comprehensive series of feature-rich maps which show detailed landscape information, like rivers, lakes, contours and many townland names. The Discovery Series is designed primarily for leisure activities and are the preferred choice for hill walkers and those in pursuit of the great outdoors. 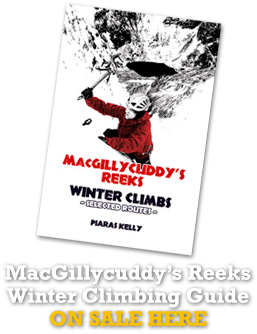 Harvey Superwalker – MacGillycuddy’s Reeks at 1:30,000 scale. All these maps can also be purchased locally or in limited circumstances can be pre-ordered for purchase from us with adequate notice. Compass – Silva type 4>> recommended. The Expedition 4 Compass from Silva has been designed with the user in mind. It boasts clear markings and an easy to use bevel as well as a declination scale on the inside of the capsule. The romer scales on the base plate help us calculate the distance and time of our journey, or sections of it will take, while the magnifying glass helps us see even the most intricate details on the map.